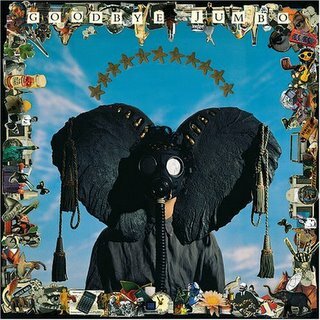 In 1990, Goodbye Jumbo by World Party was released. It quickly became the soundtrack to my life as a 16-year-old. As most my age, I was exploring who I was and questioning who I would become. I was in high school. I was working. I was falling in love. My heart was being broken. All along the way, Goodbye Jumbo was one of only a few albums that I was listening to non-stop (others included Bellybutton, The Stone Roses, and Cloudcuckooland). Sixteen years later (holy crap! ), I can't help but call Goodbye Jumbo my favorite album of all time. It means the most to me because it is intensely personal and intimate. My heart rate literally slows down when I'm listening to any of the songs from this perfect album. It was rightfully critically acclaimed. If you haven't had the privilege of really listening to Goodbye Jumbo, now it's easier than ever. Karl Wallinger, the genius that is World Party, has finally released all his work via iTunes. I highly recommend you download it now along with the rest of the catalog. Keep in mind, you likely won't have the same experiences with it that I have had. Music is very personal. But it's worth checking out. I was inspired to write about it because World Party has reawakened. There's a new website. There's a newly updated album that is getting a proper domestic release (Dumbing Up on May 2). There's an upcoming tour! And there's brand new music likely to be released next year. This is all excellent news. I had the chance to see World Party open for 10,000 Maniacs in Chicago not long after Goodbye Jumbo was released. I happened to go to school with the son of the owner of the venue so I was able to get on the guest list and didn't need to worry about being underage. Well, my girlfriend wasn't allowed to go out on a weeknight. My friends didn't know or appreciate either of the bands. 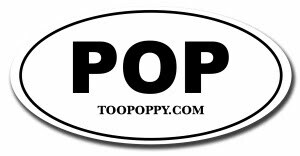 And my brother, Mr. Way2Poppy, well, there's no excuse for him. He should've known better, but I've since forgiven him. Perhaps I will finally get my chance this time around. It would surely be a transcendent moment for me.